What is Sugar on a Stick? Sugar on a Stick is a Fedora® Spin operating system featuring the award-winning Sugar Learning Platform. any computer as a virtual machine. You can use Sugar on a Stick to demo Sugar almost anywhere without disturbing the contents of the computer you use, and if people like what they see, you can install Sugar on a Stick to their hard drives or other sticks from the demo stick. Our most recent version of Sugar on a Stick was released on 30 October 2018 with Fedora 29.
x86_64 (64-bit), see How to install. armhfp Raspberry Pi 2 or 3, see How to install. Fedora Live Respins are like the official release but with officially updated Fedora components. Many bugs have been fixed in these Respins, but new ones may occasionally render the download unbootable. Checksums to verify the integrity of downloads are in a file at the top of the Respins directory. Fedora and the Infinity design logo are trademarks of Red Hat, Inc.
What's new in Sugar on a Stick? based on Fedora 29, see the release notes for Fedora 29. See also sugar#769, sugar-toolkit-gtk3#368, and RHBZ#1519042. See also #4990, and RHBZ#1642828. Failure while trying to liveinst a non-live disc image from a .iso copied by dd to a USB flash drive (segmentation fault). A LiveUSB loaded by the livecd-iso-to-disk installer and then booted was able to successfully run the liveinst program. See also #4994, and RHBZ#1668105. See also Common Fedora 29 bugs. Want to use Sugar on a Stick? After you've tried out Sugar on a Stick, we hope you'll come back here and join our community of contributors to help us make the next release even better. Want to contribute to Sugar on a Stick? You're in the right place! This page is a contributors portal to the project, and contains everything you need to get started in becoming part of the Sugar on a Stick community. Welcome! We're excited that you want to help us bring the Sugar Learning Platform to children around the world. No prior experience with computers or educational technology is required - in fact, we actively encourage a diversity of backgrounds, ages, and perspectives. See the Joining Sugar on a Stick page for instructions on how to get started. There are three main ways you can contribute to the Sugar on a Stick community. We work closely with our upstreams, Sugar Labs and the Fedora Project. 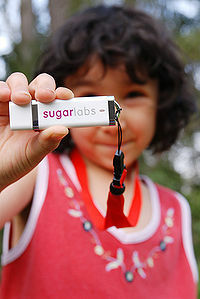 Test Sugar on a Stick and help us find bugs and think of ways the project could be better. When you find a bug or think of an enhancement, file a ticket! No technical experience required. Help make it easier for others to test Sugar on a Stick by writing test cases. If you've run a test case, you can write a test case. Fix a bug or add a feature to an existing Activity, to sugar-core itself, or to Sugar on a Stick. See How to fix an Activity bug and How to fix a sugar-core bug to get started. 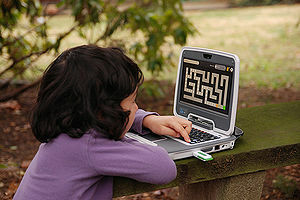 Basic Python programming skills - or the desire to learn - are all that's needed. Package Sugar Activities for Fedora. If you're a Fedora Packager or want to become one, help in this area is something we desperately need - it's a trickier thing to learn, but rewarding once you get the hang of it. Review Activities for inclusion in the build - check submitted Activities against our Sugar on a Stick/Activity Criteria and help us choose what gets included in the next release! No prior experience needed. Have an idea for a technical feature that isn't an Activity? Check out our feature process. Deployments all over the world need many different types of help as they work through the Sugar on a Stick deployment process - we need help building resources for all deployments to use, supporting those deployments, and helping new deployments start, as well as gathering stories and feedback from deployments so that we can make the next version of Sugar on a Stick even better. "It's a wiki: Edit away!" is often said in open source communities. Almost nothing is set in stone and can't be undone. So if you've got ideas how to make instructions clearer and more accessible, just go for it! We produce official documentation such as the Creation Kit or the Customization Guide. If you've an idea how to make them better, why don't you jump in and create a patch? Creating these nifty text files is simple - instructions live in the Documentation SOP. Unofficial documentation for unsupported workarounds for installation and customization need to be edited, tested, and submitted for approval for official support. Check them out and leave comments and improvements; just jump in and edit the page. Interested in starting a deployment or helping a specific one (with anything from pedagogical design to technical support to funding logistics)? 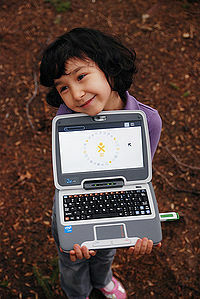 Introduce yourself on the deployment lists for Sugar Labs and One Laptop Per Child and we'll get you connected with some teachers on the ground. We're looking for some people to help us assemble tools for our support team to use. Email the Sugar on a Stick mailing list if you're interested. Contributors are the lifeblood of the Sugar on a Stick community - we work hard to bring a playful mindset of teaching, learning, and meaningful work to the children we aim to reach, and we aim to keep that mindset in our own work and community as well. Welcoming and teaching new contributors or all types, building the resources they need, and teaching them how to empower others in their turn is one of the most important things you can do; it is everyone's responsibility to help build our community, one person at a time. Edit this page and Joining Sugar on a Stick. Is there something we could do to make the "getting started" process easier? You don't have to ask permission to edit; just do it! 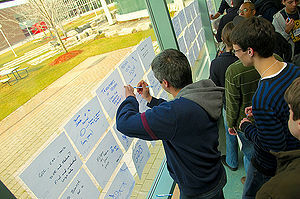 Point out starter tasks on OpenHatch - fill in questions and ideas for beginner jobs, and point newcomers towards them. Watch for introductions on the mailing list, and send welcome emails to new contributors (copy the list, so we can see what advice a newcomer has gotten so far). Hang out with us on IRC: #sugar. This is where the IRC Activity starts off. Help new joiners past initial questions and provide instant help! To find out what other contributors are doing, check out Planet Sugar Labs, where contributors to Sugar Labs and the Sugar on a Stick project aggregate their blogs. You can also add your own blog to the Planet. Communication through the Sugar on a Stick mailing list has replaced regular meetings. We once had weekly meetings on IRC - see Sugar on a Stick meetings for more information, including logs from past meetings. For deployments lacking easy Internet access, one can turn a computer into a Sugar on a Stick Creation Station. 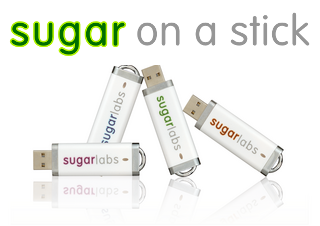 The Sugar Creation Kit includes the materials you need to create Live USB sticks sticks and to install additional Activities, along with documentation and previous versions of Sugar on a Stick. Older portable Sugar distributions based on other Linux distributions . The undiscoverable is an unofficial FAQ for tips, tricks, and solutions to common problems that may otherwise be tricky to find. These are being considered for inclusion in the official SoaS documentation. This page was last edited on 31 January 2019, at 12:43.